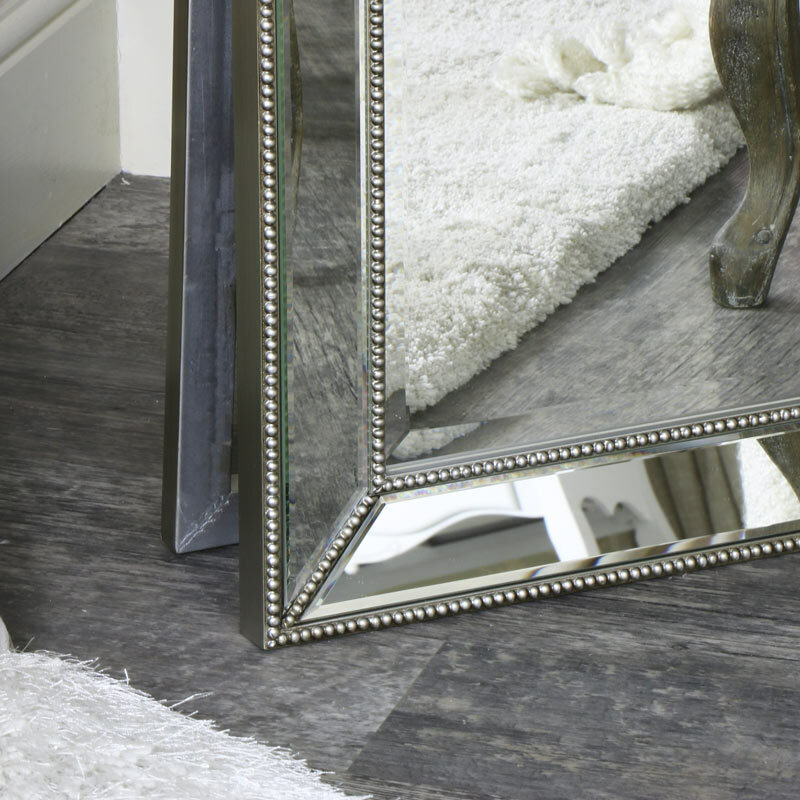 A mirror that oozes contemporary glamour and when situated in your bedroom, bathroom or dressing room will make you want to stand and stare at its beauty as it effortlessly becomes a focal point in your room. 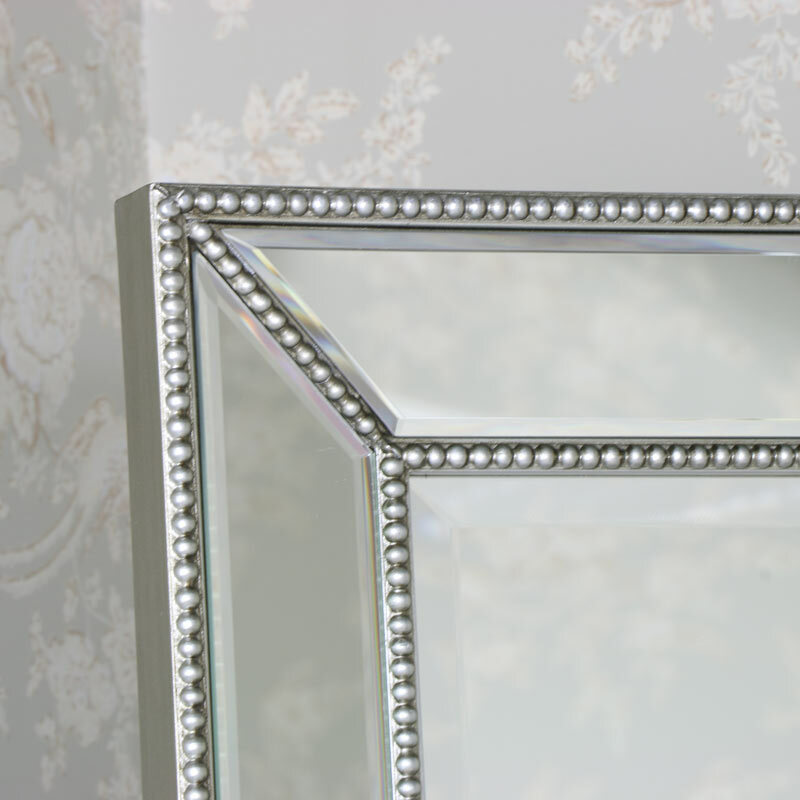 This pewter mirror with its bevelled glass and beaded edging add to the elegant persona of the mirror. 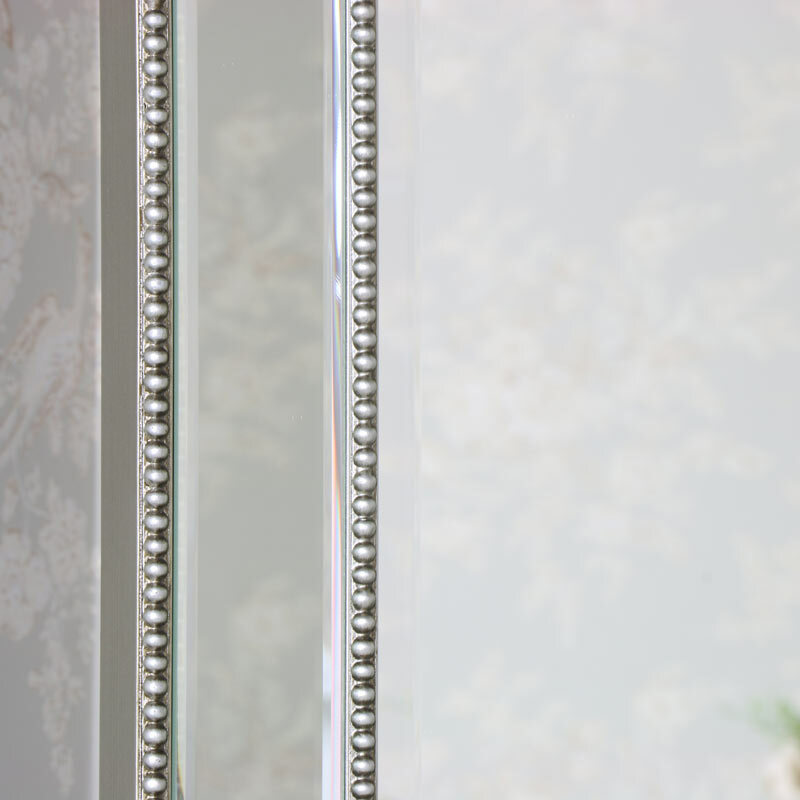 The mirrored edging of the frame will enhance that warm feeling of light and space The mirror is free standing with a leg frame at the rear taking the hassle away from trying to mount the mirror on the wall. 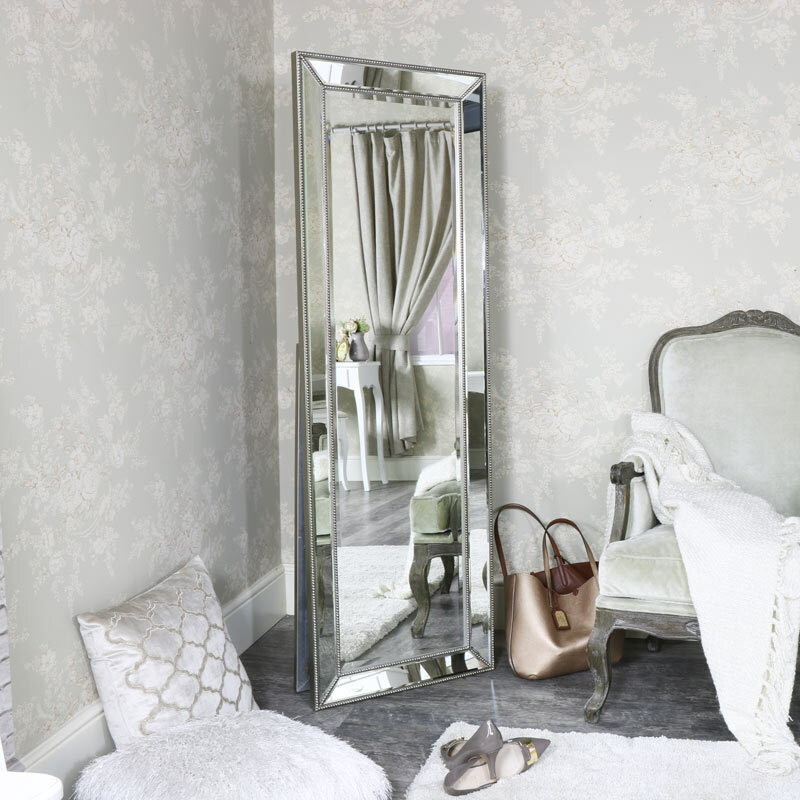 A mirror that oozes contemporary glamour and when situated in your bedroom, bathroom or dressing room will make you want to stand and stare at its beauty as it effortlessly becomes a focal point in your room. The mirror is free standing with a leg frame at the rear taking the hassle away from trying to mount the mirror on the wall. 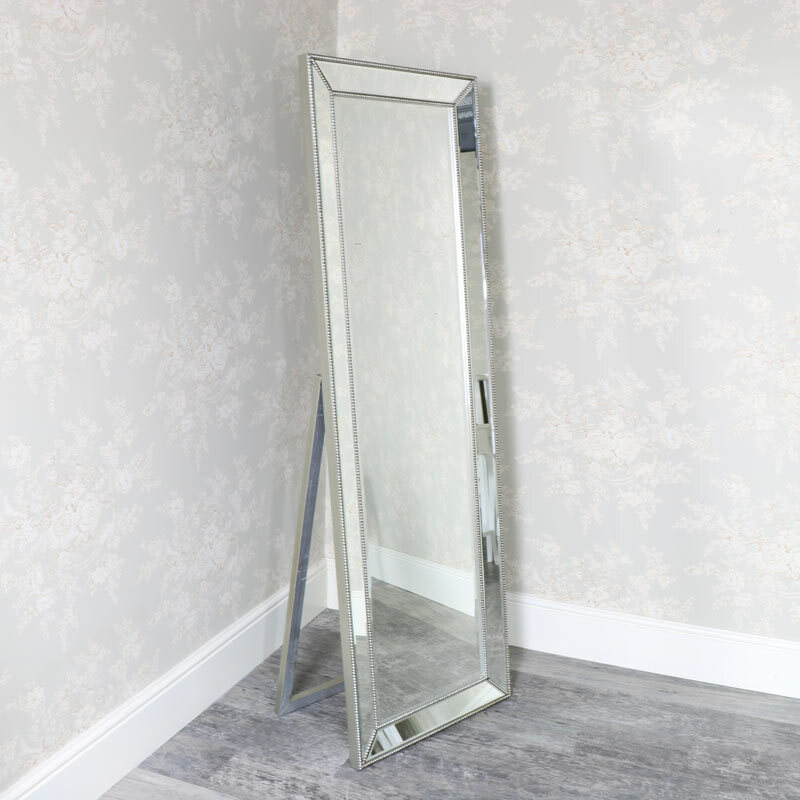 The mirror offers practicality as well as looking great, as it is not wall mounted it means the mirror can be freely moved depending on which area of your home you want to add this stunning mirror. Whether you're looking for modern,rustic, glamours, industrial or girly then you are in the right place! We have mirrors to suit all decors. Just type 'Mirror' in our search bar.